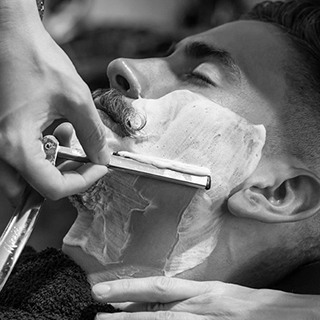 At The Grafton Barber you will experience a Hot Towel Shave like no other. 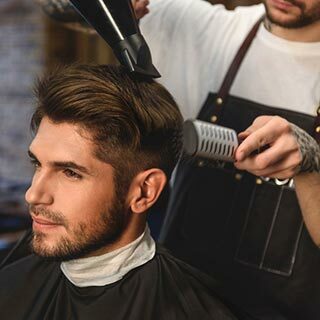 With traditional reclining barber chairs and flat screen TVs, you will receive a relaxing Royal Open Razor Shave with one of Grafton Barber’s master barbers. With over 50 years’ experience and over 40 stores nationwide The Grafton Barber has become one of Ireland’s most popular barber shops. The Royal Open Razor Shave is a unique experience that you will remember long after your visit. You will be shaved clean with a traditional cut throat razor, a cold towel will then be placed on the face afterwards and then The Grafton Barber signature after shave balm will be massaged into your skin. Use this voucher on AllGifts.ie to order a gift voucher for Grafton Barber. The gift voucher allows you Royal Open Razor Shave to the value of €25. Or you can swap for any other gift or voucher listed on the AllGifts.ie website. Grafton Barber vouchers are posted out free of charge once ordered. At The Grafton Barber you will experience a hair cut like no other. Specialising in all aspects of cutting and restyling of men’s hair - along with traditional open razor shaving. With over 40 stores nationwide, The Grafton Barber has become one of Ireland's most popular barbers.